CONTEST IS NOW CLOSED. Thank you to everyone who participated in this contest. A winner will be selected on February 5 at 10AM. Jumpstart your financials this semester by refreshing your student budget with $1,000 from Ratehub.ca and JobPostings.ca. 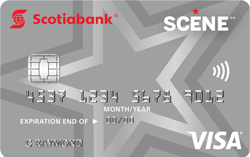 How to enter: Apply for the Scotia SCENE Visa or Scotiabank L'earn Visa for your chance to win. Contest is open from January 18, 2016 to January 31, 2016. Click here for contest rules.